Cortana, Microsoft’s answer to Google Now and Apple’s Siri, completely replaces the search function on Windows Phone, which makes sense since she is powered by Bing. Launching her takes you straight to a list of personal suggestions based on how you use your device. Cortana, which is launching as a beta, features a Notebook, which is essentially the settings page for choosing what exactly the personal assistant should keep track of. If you’ve ever used Google Now, it’s very similar to the “magic wand” page. The feature will arrive first in the US, followed by the UK and China in the second half of this year and additional countries in 2015. Among the options is a quiet hours option to make sure she won’t bother you when you’re busy. You can set an inner circle of friends to keep track of, which you can also choose to either respect quiet hours or not. Microsoft’s personal assistant can give you a list of restaurants (powered by Yelp), keep track of your appointments, give you reminders, track the weather, and answer questions about the world in general. Best of all, Cortana can be extended with third-party apps (Skype, Hulu, and Facebook were all shown off), which is naturally why Microsoft is revealing her at its developer conference. Cortana aside, the Action Center shows the battery percentage, four customizable buttons, and of course notifications from all your apps. The new lock screen means developers can build new experiences that shows users whatever information they prefer. Windows Phone 8.1 also allows users to take advantage of more tiles, should they wish to have more on the home screen. The new “high density” layout is configured under settings, inside the ‘Start+Theme’ area. Devices with 5-inch displays and beyond can add a third column of tiles to their home screen. For the first time, handset owners will also be able to set the wallpaper on their home screen. By cropping a photo to the appropriate dimensions, Microsoft will then layer it underneath the tiles, thereby creating a unique and personal look. 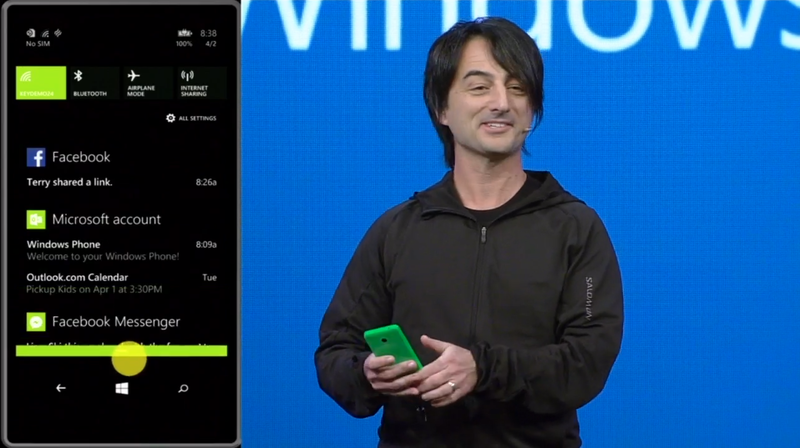 Windows Phone 8.1 includes a new Swype-style Word Flow keyboard that Microsoft claims has set the world record for typing on a mobile device. 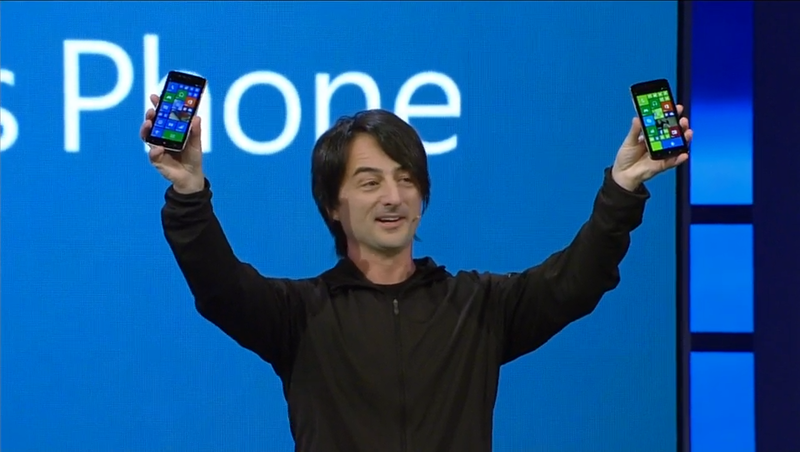 Joe Belfiore, Microsoft CVP of Operating Systems Group, called Windows Phone “the most personal smartphone” before announcing two new hardware partners at the start of the keynote: Micromax and Prestigio. These join the existing list of 10 hardware partners: Gionee, HTC, Huawei, Karbonn, Lenovo, LG, Nokia, Samsung, Xolo, and ZTE. Windows Phone 8.1 has leaked in bits and pieces over the last few months. 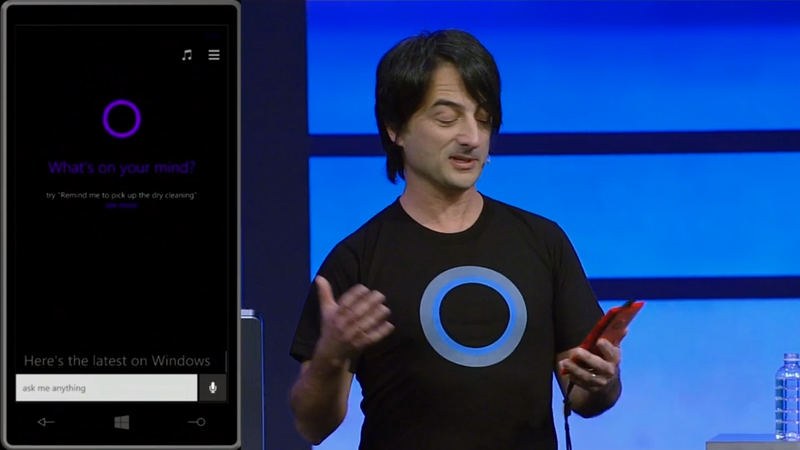 We’ve known for a while about personal digital assistant Cortana among other smaller features like custom backgrounds. While this is a relatively minor release (denoted in part by the small version number bump), it’s a welcome one nonetheless. Microsoft realizes mobile moves faster than the traditional desktop world it is used to, and asking the industry to wait for Windows 9 and Windows Phone 9 is simply not an option.